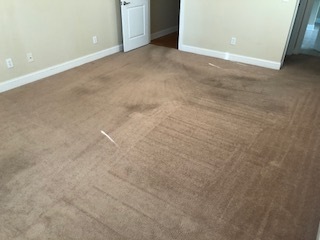 PRIDE Carpet Cleaning Company's residential carpet cleaning services redefine the meaning of clean! We use cutting edge cleaning solutions that give your home superior results. 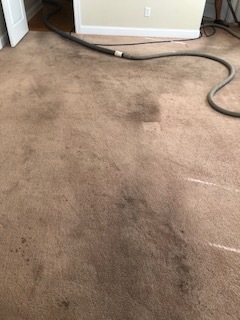 The highly trained and experienced technicians of PRIDE Carpet Cleaning handle all your carpet, upholstery, floor, laminate, tile and even oriental rug cleaning needs. Just like your carpets, upholstered furniture demands that you vacuum it regularly and tend to spills immediately. But, that regular care is not always enough. Eventually body oils, beverage and food spills, and young children will make your furniture look less than its showroom best. When your upholstered furniture begins to look dingy, it's time to call PRIDE Carpet Cleaning Company. Depending upon the fabric, we could have several cleaning methods, choosing the right one is important because the wrong one may bleed dyes or cause browning. We will help with any type of fabric, from the most delicate to new age microfibers. As hard and durable as ceramics are, layers of grime can build up on their surface and make tile flooring look old and unattractive. 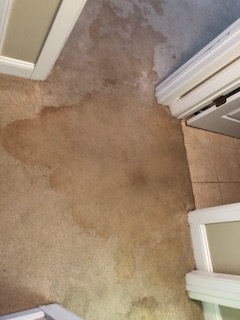 PRIDE Carpet Cleaning Company's tile and grout cleaning service proudly serves the Sanford, Lee County,Moore County areas of Pinehurst and Southern Pines, as well as Western Harnett County areas such as Anderson Creek, Overhills, and Linden Oaks. We will quickly restore tile floors, walls, and grout to their original appearance using a process that's suitable for residential homes. Luxury vinyl tile (LVT) has been installed in commercial buildings for years, but now it’s finding its way into more and more homes. 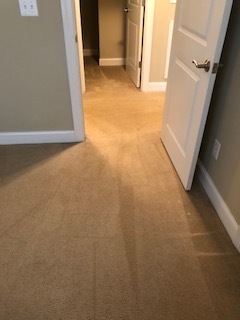 Pride Carpet Cleaning is one of the best and most experienced in clenaing LVT in the Sanford, Pinhurst, Southern Pines, and Harnett County area. LVT is softer and feels warmer underfoot, which is especially nice in bathrooms. Ceramic is harder to scratch, however, LVT won’t crack if you drop your cast iron skillet. If a piece of LVT does get damaged, it’s much easier to replace. It has a lower profile, which makes it easier to work with around cabinets, existing door openings and transitions. LVT can be installed over some existing flooring and is far more DIY-friendly. VCT flooring is used just about everywhere from homes to small offices and schools. VCT can be durable but tends to require routine maintenance to keep their clean and shining appearance. We offer a restorative and maintenance cleaning for your VCT vinyl composition tile flooring at Pride Carpet Cleaning. Maintaining the look of VCT not only cleans but helps prolong the life of flooring because the high quality finish that we apply provide protection from normal wear and tear. Wood floors are the most popular type of floor today. They stand up to heavy traffic areas and are a great choice, not only for looks, but for people who suffer from allergies. But, If you have hardwood floors in your home, you need to take care of them by having them cleaned and sealed. PRIDE Carpet Cleaning Company have 20 years of experience with hardwood floor cleaning and hardwood floor sealing. We are experts when it comes to wood floor cleaning and wood floor sealing, and we focus on providing excellent service to our customers all over Lee, Moore, and Western Harnett County, including Southern Pines, Pinehurst, Linden Oaks, Buffalo Lakes, Cameron, and Anderson Creek areas. You invested into a beautiful oriental rug, it is a piece of art in your home, don't just leave the cleaning to anyone. 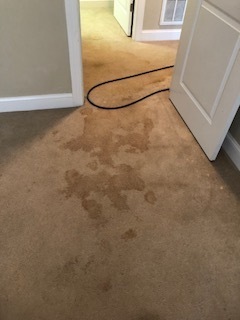 PRIDE but they don't have the knowledge and expertise needed to leave your rug CLEAN and UNDAMAGED! Oriental Rugs come in all shapes and sizes and PRIDE Carpet Cleaning Company has many years of experience delicately cleaning your rugs. With the proper care and cleaning your oriental rug can last for year, looking as new as the day you bought it. Stripping and Waxing floors is an important part of keeping your facility clean and presentable. High-traffic areas are prone to dirt and grit and this can give an otherwise beautiful floor an appearance that leaves a lot to be desired. 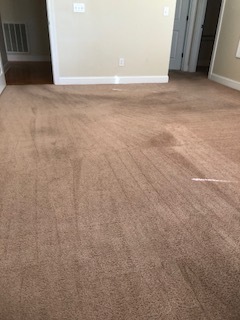 With a Complete Strip and Wax, Pride Carpet Cleaning Company will completely strip every inch of your space, and then recoat all areas with an industrial grade wax. With high-quality stripping and waxing, your flooring will remain clean, shiny and attractive for years to come. 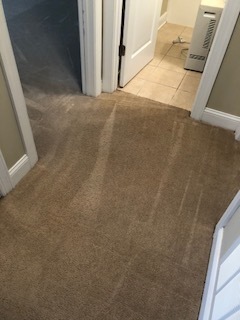 If you are planning a move out in the Sanford or Southern Pines area of North Carolina, you can trust Pride Carpet Cleaning to make your transition much smoother. 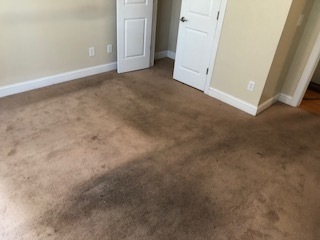 The moving can be a stressful time, but with Pride Carpet Cleaning we will come to your home with our professional technicians to clean and sanitize your home and make it move in ready for the next resident. We can also clean your move out in order to stage the home for a prospective buyer. Clean and sanitize the home from top to bottom. Organize the rooms and remove the things left behind. Clean the dust, dirt and grime from the floors and tiles. Clean the living area, bedrooms, and guest rooms etc. Clean and organize the rooms as required. Clean the windows and doors and furniture and fixtures. Our professional moving out / move in cleaning in the Sanford, Southern Pines, Anderson Creek and Surrounding areas of NC will ensure complete cleanliness of your home and make your moving experience less stressful for you. We have a highly efficient cleaning team that specializes in all kinds of house cleaning. We are fast, efficient and use the latest cleaning technology to provide the best clean.